Grab your popcorn and your kids and hotfoot it to Federation Square in Melbourne this week because Little Big Shots is in town. The international film festival just for kids starts on June 9 and runs right over the Queen’s Birthday long weekend until June 14. There are seventy-four short films from 20 countries in this year’s schedule, including some twenty movies actually made by kids. 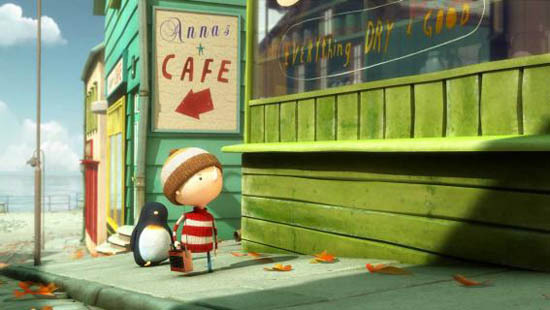 Among the ten international premieres and thirty Australian film premieres are the big screen animated debuts of two favourite Babyology storybooks – Oliver Jeffers’ Lost and Found (that’s a still from the movie pictured below) and Mo Willem’s Don’t Let the Pigeon Drive the Bus! 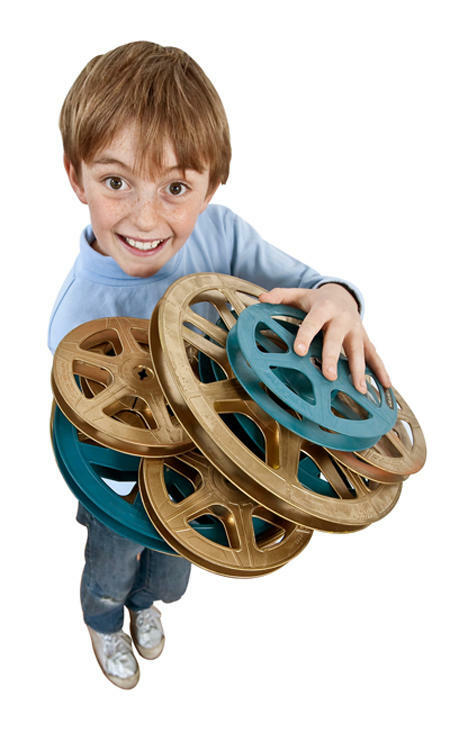 Not just for the older kids, this fest has films to suit even little tots as young as two. Robots, superheroes, dragons, cake-loving ghosts, cute and cuddly animals, crazy hair and jaw-dropping fantasy worlds – Little Big Shots has it all. Tickets for each session cost only $7. Head straight to Little Big Shots to peruse the entire program or to find out more. And don’t despair if you don’t live in Melbourne – the festival will also visit Sydney (August 5-8), Adelaide (October 7-9) and regional towns all over the place.